Forty-seven years ago, on 22 April 1970, millions of people took to the streets to protest the negative impacts of 150 years of industrial development. The global ecological awareness was growing, and the US Congress and President Nixon responded quickly. In July of the same year, they created the Environmental Protection Agency, and robust environmental laws such as the Clear Water Act and the Endangered Species Act, among many. Earth Day is now a global event each year, and we believe that more than 1 billion people in 192 countries now take part in what is the largest civic-focused day of action in the world. It is a day of political action and civic participation. People march, sign petitions, meet with their elected officials, plant trees, clean up their towns and roads. Corporations and governments use it to make pledges and announce sustainability measures. Faith leaders, including Pope Francis, connect Earth Day with protecting God's greatest creations, humans, biodiversity and the planet that we all live on. 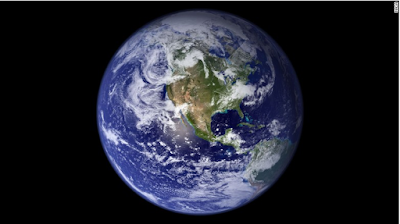 In the lead up to Earth Day's 50th anniversary in 2020, Earth Day Network launched a campaign to bring climate and environmental literacy to the world. Climate literacy is now recognized universally as the engine for driving individual behavioral change, building consumer support for a green economy, creating green technologies and jobs, and promoting policy reforms at all levels of government. Recognizing the importance of an educated global population, the authors of the Paris Climate Agreement put climate education at its heart, calling on national governments to cooperate in taking measures to enhance climate education, training and access to information. Environmental education has evolved since 1970, and new models are gaining traction. Once focused solely on teaching the science of the natural world, environmental education has since embraced the concepts of sustainable development, promoting the economic values associated with the transition to the green economy - including jobs and opportunities for entrepreneurship. These attributes are becoming part of a continuum of environmental learning. Different models for formal and informal climate education are sprouting around the globe. Some countries internalized the values of climate and environmental education years ago, recognizing that the jobs of the future belong to those who understand not just information about the environment, but also the potential for economic growth. Finland, for example, already recognized for its top educational system, has been teaching environmental education and climate risks and opportunities for more than a decade. More and more countries around the world, including Italy, Morocco, and Nicaragua, are now passing laws that will create a new generation of skilled green energy jobs in a way that we have never seen before. The Paris Agreement is bigger than Trump ... isn&#39;t it? The Paris Agreement is bigger than Trump ... isn't it? At the same time, climate and environmental education face an increasingly uphill battle in the US. Unlike many countries, the US allows individual states to control their own curricula. The result is 50 separate climate and environmental literacy plans, some of which avoid teaching about climate change at all. Given the uneven landscape of political support for protecting our planet, Earth Day remains a critical point in time. Not a day of remembrance but a day of action. Forty-seven years after the first Earth Day, the jury is still out on whether we will take the actions that are necessary to save ourselves. Education and action are the two most valuable steps we can take to protect our planet. Earth Day is the day to start. Just like with make-up, it’s important to do a color analysis to see what frame color looks best on your face. And, colors are hot this year when it comes to eyeglasses. Don’t just buy one pair. Buy ones for every occasion and look you want to achieve. Just like with make-up, there are basically two types of color: cool and warm. To decide which you are, you need to take into account three things: hair color, eye color and skin tone. Each person is either warm or cool. Knowing which you are can dramatically change your look. Hair color: What is considered warm? Carrot tops (of course), brown-black, golden or honey blond, golden brown and gray are included in the warm category. What is considered cool? White, salt and pepper hair, blue-black, strawberry blond, auburn, platinum blond and ash brown are all thought of as cool shades. Eye color: We are working with natural eye colors here. There is such a range of colors besides the basic brown, blue and green. For instance, blue can stretch from violet on one end to blue-green on the other. On one end of the spectrum the colors are cool and gradually get warmer. The same goes for brown. You can have a light color brown which is considered warm and stretch to medium or even a brown so dark it looks black. That is on the cool end of the spectrum. Skin tone: Lastly we take a look at skin tone. All skin color has undertones of either yellow or blue. The most common undertones are blue, making up about 60 percent of the U.S. population. Blue, as you might have guessed, produces a “cool” complexion and yellow produces a “warm” one. Since the glasses will sit on your face, skin tone coloring is a bit more important than hair or eye color. Now that you know whether you are a “cool” or a “warm” you can start considering different frame colors. Like we said at the beginning, don’t get bogged down with choosing just one frame. You don’t have to make one do for all occasions. Mix and match to suit your coloring and your mood. Contrast with your wardrobe for a more dramatic look. Warm color trends: If you are warm, try frames in colors like khaki, gold, orange, peach, copper, blue and bright red. If you like the tortoise shell look, go for blond. 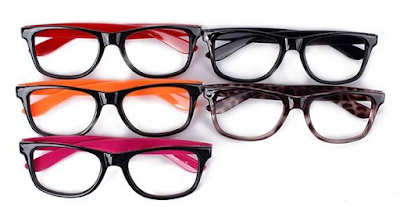 Cool color trends: Try frames in colors like black, silver, pink, blue, magenta, dark tortoise shell, blue-gray and plum. Trendy colors: Right now, you have an eclectic mix of bright and neutral colors to choose from. Depending on your gender and coloring, the hottest colors for women range from tangerine to driftwood. For men, coloring goes from a cool dazzling blue to a subdued grass green. Be bold! Go for frames that make a statement this year. Why do women wear make-up? Well, it enhances their natural features. Even in the low light you can present a bold face to your public. But, what about after the night is through? While make-up looks great, your face will feel even better once it’s off. Part of the responsibility of wearing make-up is knowing how to clean it off. Here are some different types of make-up removers/cleaners for your needs. The health of your face depends on cleaning it thoroughly. Pores clogged with un-removed make-up can lead to acne, pimples and other skin irritations. No one wants that. Start with a fresh new palette everyday by cleaning your face thoroughly before going to bed. Here are some types of make-up removers to consider. Eye make-up remover pads – These are pre-moistened pads that are easy to use with no fuss or mess. Simply remove one from the jar and swipe across your eyelids to remove make-up. Some people worry about irritation from the chemicals in the remover on their skin. If so, try a hypoallergenic pad like Almay Eye Makeup Remover Pads ($5.50). It works for sensitive skin to avoid redness and other issues. Almay pads are also good for removing waterproof mascara. Cleansing wipes – If you want something bigger to hold on to, then opt for a facial cleansing wipe. They come in handy pillow pouches to carry with you wherever you go. Choose one that will work well on waterproof mascara without leaving your face feeling oily. Clean & Clear makes an oil free wipe ($6) that is gentle to your skin. Eye make-up remover solution – You can apply this with a cotton ball or two. It removes dirt and oil without leaving an oily feel to the skin. And it removes waterproof make-up. One of the best on the market is Mary Kay Oil Free Eye Makeup Remover ($15). The bottle is small but a little goes a long way. Make each swipe count. All over make-up removers – You can remove your make-up not just from your eyelids but also your lashes, lips and cheeks. Try Clinique Take the Day off Makeup Remover ($18). You do have to leave the solution on for a few seconds before removing it. If you feel oily after removal, wash your face with a cleanser. Eye make-up remover lotions – Eye make-up remover lotions have a slightly thicker formula than solutions. You don’t need an applicator or cotton ball. Simply squeeze the lotion on the tip of your finger and rub it across the eye lid and the lashes. Remove with a damp cloth or cotton ball. Neutrogena ($8) makes a lotion that is hydrating and safe for sensitive skin. Putting on make-up is only part of the process. Remember to remove it with a cleanser that will leave your face fresh and clean. When it comes to hitting the beach, many women dread the season of skin exposure. Instead of dreading it, though, why not get in on the latest trends? You'll probably feel more chic, and you can probably find a trendy look that fits your comfort level. It's not all about swimwear - it's about beachwear! Here are some of the trends for beachwear in 2012. Sleeveless tops get a whole new look in 2012 - ruffles! Around the neck, on the front, or part of the shirt itself, ruffles are the new look for going sleeveless. Ruffles also adorn coverups this year, too, lending a playful addition to a traditional swimsuit cover. Lace is trendy this year, too. It's appearing on coverups and sheer shirts that make elegant covers for the beach. Rompers are back, and so are jumpers. These one-piece classics are great to wear on the beach. There's quite a variety of rompers available for 2012, such as ones with built-in belts or flouncy skirt-like shorts. The colors are trending toward earth tones and blues this summer. In 2012, many fashion designers are aware of the financial pinch many are feeling. So the accessories for beachwear are exceptional this year - accessories give you a new look for less. Look for bright colors and funky shapes and patterns in handbags this year. The strappy look can cover a wide range of sandal styles. You will find some very high, cork-heeled strappies this year, as well as flats. Wedge heels are in for 2012, too, as are "gladiator sandals" with ankle-high straps. And yes, flip-flops are back! Invest in a few pairs and get into the colorful flip-flop trend this summer. Sundresses are classic beachwear. You can go barefoot in a nice sundress as you walk along the beach, or pair it up with trendy sandals for going out. This year, short or long sundresses are in, and so is floral print. Maybe it's because we're more aware of skin cancer these days - but whatever the reason, the sun hat is making a comeback in 2012. In fact, the big, floppy variety is making an appearance as well, complete with chin ties and scarves. It's a great way to help keep the sun off your face and shoulders while you're walking on the beach, and the chin ties minimize the chance that your trendy hat will be blown off by oceanside winds! Basic Computer Training: There are several websites and institutes that offers basic know how on computers and provides a detailed computer training to the beginner. In some of the organizations a few people may not still be aware about the operation and working of computers. Computer training for beginners is therefore not only beneficial for those individuals but for the organization also. There are lots of computer training institutes that designs courses suitable for beginners. Computer training courses: The courses are well designed and include introduction to PC, detailed operation of mouse and keyboard, operating software, hardware and difference between hardware and software, email and Internet and Internet security. Depending on the needs and requirement of individual, the detailed program includes the software such as MS office, DBMS etc. Beginners once take interest in the computer training provided to them, they not only learn basics but also enjoy working with computers. I remember many beginners getting confused with mouse and several people ask me the role of mouse. People do find games very interesting and learn the games very fast. Once the beginners are taught theory classes they are asked to devote their time on learning computer training. The beginners must learn operating systems in details. The various hardware and software used for running a machine are also important and included in the courses. The basic course is not complete until and unless the people are not taught Internet and email. If possible some basic Internet protocols should be discussed with the beginners and people should be asked to run machine themselves. All safety and security aspect should be included in the course. Some people will need to learn more about MS office or DBMS. Aim of computer training: A person having gone through computer training for beginners should be able to open and close the machine themselves, know the main hardware and software installed in the computer, should know the operation of mouse and key board, should know word processors, should know write, edit, send and reply the emails, should know the Internet access for various purposes and should be able to search through Internet. The beginners after completing computer training for beginners, should also be capable to answer the questions related to any of the topic as mentioned above. They should be taught in such a way so they can easily carry out the required computer job without taking help from any other person. The practical computer training should be provided repeatedly so the people do not forget any of the lessons learnt. People should also be encouraged for practical computer training at regular intervals. Conclusion: Computer training for beginners are aimed at to gain some knows how about the computers and carry out some Internet job independently. The computer training is designed for the beginners according to their age group or qualification. The outcome of such computer training is great, as many organizations now prefer to impart skills to their poorly qualified people.